Ghost is a paradox, something invisible made visible. 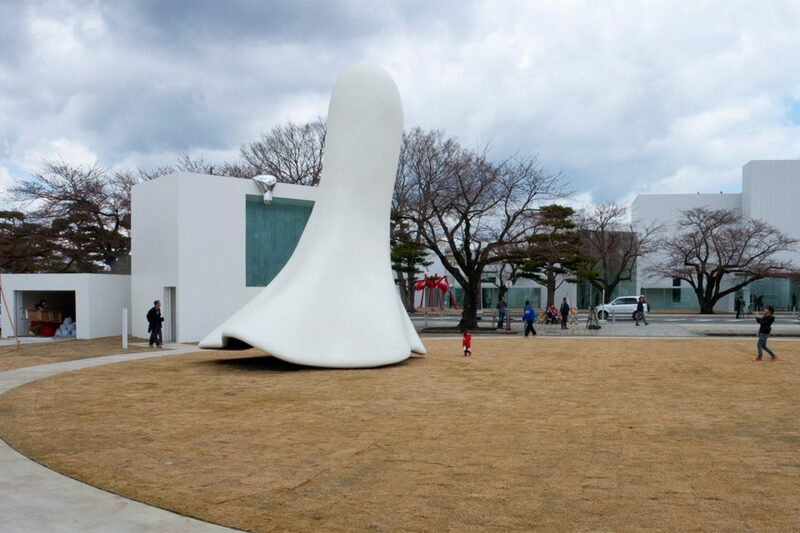 The organic, white, large-scale sculpture is contextualized in the environment of the minimalist museum architecture of Ryue Nishizawa, SANAA. The monumental, seemingly amorphous sculpture stands on the lawn, surrounded by white, cubical buildings. Two black openings at the upper end turn the initially abstract appearance into a huge spook. We imagine ghosts and spooks as being immaterial and invisible: they take on visibility often only by means of a physical material cast over them, like a sheet. Such a sheet veils and displays the form at the same time – a fact that is interesting not only in terms of fiction, but also of sculpture. 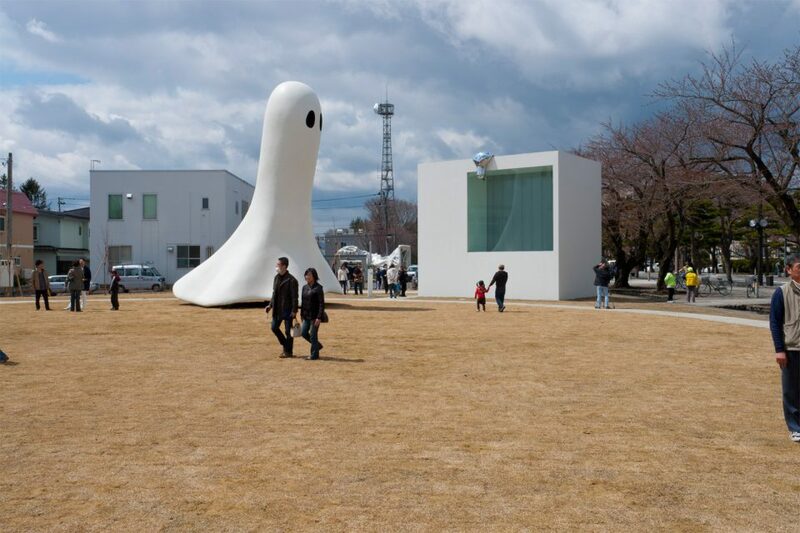 The sculpture’s size and color allude explicitly to the museum building on the opposite side of the street, but while the latter is cubical and organized in accordance with a strict plan, the sculpture is organic and flowing and in this way seems to float. Unknown Mass, too, relates explicitly to the architecture in whose context it is positioned. 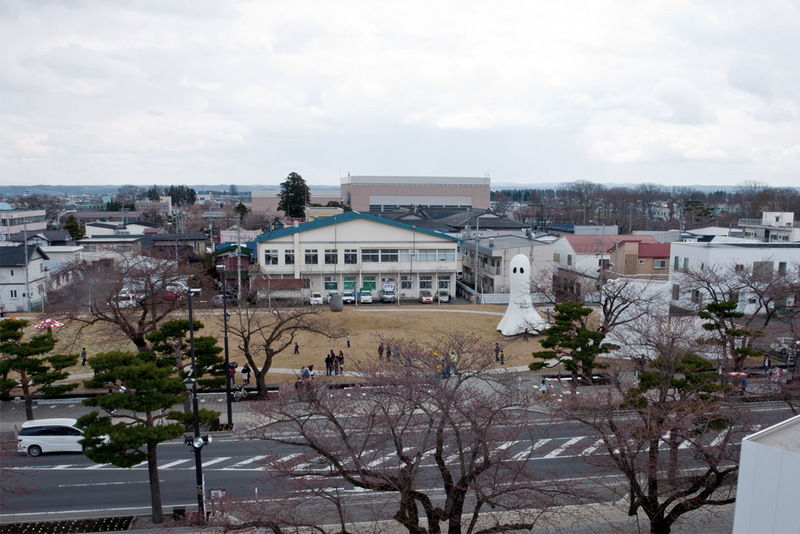 Viewed from a distance, the sculpture seems like a sluggish, gleaming mass dripping down from the upper edge of the building. The slow swelling of a drop stands in contradiction to the high-gloss material, evoking a fluidity like that of mercury. 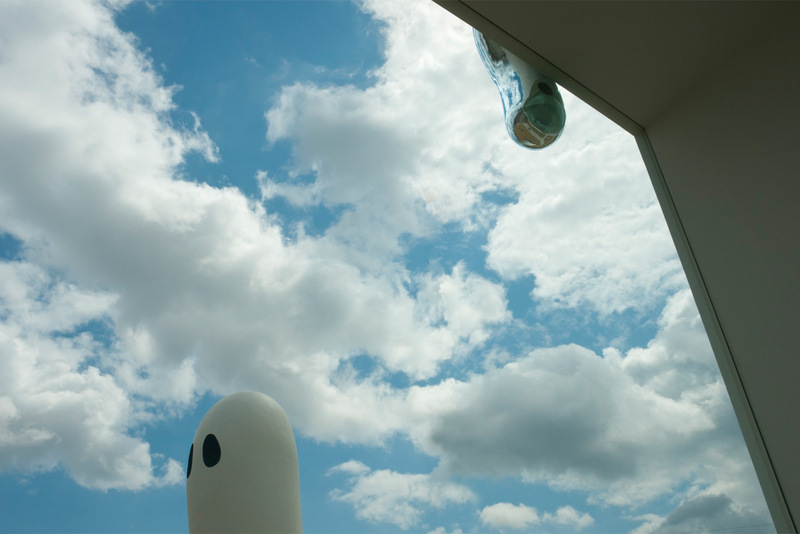 The sculpture, which seems abstract from the exterior of the building, suggests a completely different interpretation to the user of the restroom, who perceives it as a spook hanging upside down to peer into the room. The form’s two openings are immediately read as eyes, which lends the form a poetic-animistic aspect. At the same time, in such an intimate situation, this perception can be somewhat suprising. 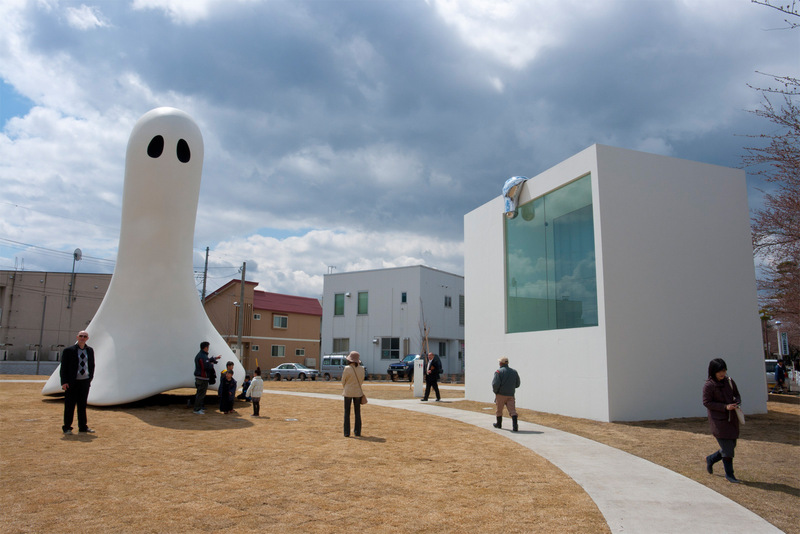 Unknown Mass takes on its complete meaning only when one visits the restroom building of the sculpture-garden, where it takes on this new interpretation and can be set in relation to Ghost.